Mads Adenaes, until recently the Norwegian chair of the UN Working Group on Arbitrary Detention, agrees with my post that a Guardian editorial on Friday seriously misrepresented the group’s legal ruling that Assange had been arbitrarily detained. Adenaes also explains in simple terms why the ruling is not a “publicity stunt” (the Guardian), “ridiculous” (British foreign secretary Phillip Hammond) or “crazy” (too many people commenting on my social media pages). It is grounded in a very reasonable interpretation of international law – and very unreasonable legal behaviour by both Sweden and the UK. What Adenaes points out is that the detention is considered arbitrary in part because Sweden has not pursued it in the way a similar “normal” case would have been. Sweden, remember, let Assange leave the country after he had been interviewed by the first prosecutor and it had been decided to drop the case. In normal circumstances, it would be entirely routine for the second Swedish prosecutor, who revived the case, to come to the UK to conduct a further interview, as has happened numerous times before. In this case, where there are serious grounds for believing Assange is in danger of political persecution (that secret grand jury awaiting him in the US for the embarrassing revelations put out by Wikileaks), the failure of Swedish prosecutors to make possible such an interview in the UK over several years is treated as a sign of bad faith. It provides further grounds for suspecting that Assange is in real danger of onwards extradition to the US, assisted by Sweden. Swedish courts have been very critical of the prosecutor, of the Swedish prosecutor, for this. And if you read those judgments closely – they’re in Swedish, of course – you will see that it is as strong a criticism as you can expect possible from a Swedish court against the way that the prosecutors have proceeded here. In other words, Swedish judges think the prosecutor is behaving unreasonably too. 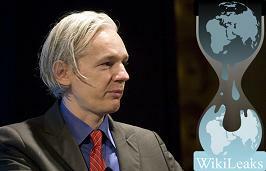 The UK is actively participating in this legal charade by spending millions of pounds to keep Assange confined to a tiny room in the Ecuadorean embassy, apparently more interested in turning him into a reviled figure than in expediting an interview by Swedish prosecutors that could resolve the case and get him dedicating his energies to the important work he does for Wikileaks. He has been detained now for five years, one month and 29 days. And to put it bluntly, that’s a hell of a long time to detain someone, someone who has never been charged and has never even been questioned by the Swedish authorities. That so many people have concluded that a panel of leading international law experts has arrived at a preposterous decision in the Assange case says far more about those reaching such a conclusion than the panel. Too many people are apparently willing to believe what the British government and the corporate media tell them must be true. They do so, it seems, because they mistakenly believe that the corporate media – one made possible only through massive subsidies provided by the advertising of large corporations, or the BBC, a state broadcaster dependent on government funding – represent them rather than the vested interests of the powerful. The universal derision in the British media of a UN panel of legal experts, transforming them into a bunch of buffoons on a matter of international law, should serve as a springboard to questioning what passes in Britain (and the US) for news and analysis. Instead it has set many marching in lock-step with the British government.